Not sure if social media is right for your business? Don’t know where to start or what to do? Take this challenge. In 30 days, you will determine if your company is cut out for social media. You may find yourself asking What is social media all about? Social media is a hot topic these days. Your friends are using it, your employees are using it, even some of your competitors are using it. CNN and ESPN broadcasters ask you to become a fan on Facebook and follow them on Twitter. Business associates are sending you LinkedIn requests. People are rating movies on Netflix and products on Amazon. Even small businesses list their Facebook fan pages on their signs as you drive through town. Social media seems to be everywhere. 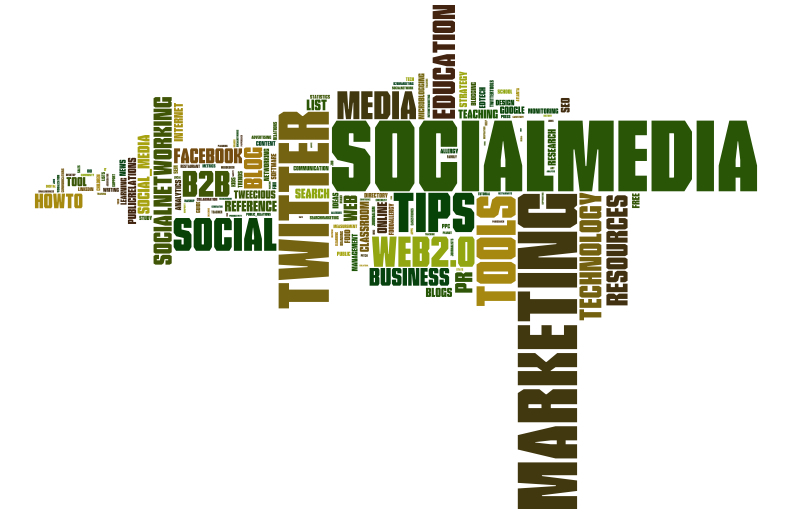 It might not make sense for your company to utilize social media as part of your integrated marketing strategy. It all depends on many things. What are your goals? Who do you sell to and where do they seek out your kind of products or services? Social media does not cost a lot of money, but the time commitment and resources that it takes to build a social media program can be demanding. Here is a 30 day test to see if you can successfully incorporate social media into your marketing and PR mix. Chris Brogan, a social media expert, say to Fish Where the Fish Are. And he’s right. Where did your customers find you? Do you know? If not, ask them. Your customers can give you a wealth of information with a simple survey. Offer a free giveaway or chance to win a larger prize and ask them a few questions. Do they belong to associations? Do they go online to forums, message boards and industry blogs? Which search engines do they use? Do they still use the yellow pages or do they go online? Put together a list of 5 – 10 questions for your customers. Send out a free survey and analyze their responses. Have your sales and customer service teams ask where call-ins heard about you (if they don’t already.) Put together a list of these responses and the survey answers and you should be getting a good idea where your customers are finding you. Start slow. Listen. Go where your customers are online. If you don’t know, ask them. Start a spreadsheet of forums, message boards, industry blogs, etc. Take time to set up some listening posts about your company and industry. Look up your brand and keywords on Social Mention and Twitter Search. Set up alerts – Social Mention has different tabs, so you can set up an alert for each category. Search blogs through Technorati and Google Blog Search. Bookmark LinkedIn Answers under the appropriate categories or set up the RSS feed in a Reader and check daily. Look up any blog comments about your company or industry through BackType. Yacktrack lets you search for comments on your content from various sources, such as Blogger, Digg, FriendFeed, Stumbleupon, and WordPress blogs. Use boardtracker.com to get instant alerts from threads citing your name. Boardreader and Big Boards are other tools that work similar to this one. Use iGoogle or Netvibes to set up a dashboard with these sites and RSS feeds. Now that you have set up your listening posts, check them in an RSS feed a few times a week. This will help you get an idea about what people are saying about you, your competitors, your industry. You will be able to track trends and hot topics and will be ready to take the next step in social media. Once you set up your listening posts, schedule 1-2 hours a week to monitor and comment on any relevant blogs, articles, etc. Answer at least one LinkedIn question in each of the categories that applies to your business. Make sure you have a free company page set up in LinkedIn. If people are talking about your brand in a good or bad way, respond directly to them and offer your help. Build trust and relationships. You may be surprised how helpful the social media community can be. By now you should have an idea of what social media is about. Hopefully by doing this challenge you will learn more about your business, your customers and yourself. Social media does not cost a lot of money, but it sure involves lots of time. In 30 days, if you find that you do not have the time or resources to do these basic monitoring tasks, you might not be ready for a full social media strategy. If you are able to do these monitoring tasks, then you are ready to take the next steps in social media which will be covered in the next post. I had the pleasure of joining Stacy and Todd after the interview for a roundtable discussion on how SEO and social media can be used together for a successful internet marketing strategy. Todd Miechiels guest hosts Gravity Free Radio and talks search engine optimization with industry veteran Stacy Williams of Prominent Placement. They discuss how SEO has changed over the last several years, as well as what’s hot and important today. Then Tim Parker from the Bloom Group calls in to talk about what makes for compelling thought leadership content. Social media evangelist Jenni Hilton joins the discussion in a roundtable format as everyone brainstorms on how to tie it all together. A complete transcript is also available here if you prefer reading over listening: http://businessradiox.com/producers-blog. I recently tapped into my social network to research a topic for a blog post. Specifically, I asked marketers how their paid search agency could better serve their clients. I received some great feedback and wanted to share how you can use your network for research. First, I posted a question on LinkedIn Answers. This is one of the most useful features of LinkedIn and if you are not familiar with it, start reading answers in your industry and try to answer a few. Also you can ask members in LinkedIn groups questions in the discussion boards if you are also a member. Two great starting points for your research. I also found some industry-specific forums and posted questions there (see Google groups, Yahoo groups, search industry keyword + group or forum) and on Business.com. There are many relevant sites for every industry and it is amazing how people are so open to giving advice and sharing knowledge. Once you find these forums, get involved and participate in helping others. It can be rewarding and helps build your network. Then I went to my network on *Twitter and asked the question with the link to the LinkedIn questions. I also sent direct messages to some folks who were active in the industry to try and get their feedback. I also searched industry terms on Tweetgrid to see if anyone was having a discussion about the topic. *I have been building a network on Twitter for personal and professional development. One group that I interact with is marketing professionals in the US. I started talking to people on Twitter when I was at my last job and was a one person marketing department. I discovered that Twitter was a great resource to share ideas and information. The feedback I received when I posed questions was valuable and in real time. I could have conversations with other professionals in my industry and I didn’t feel alone. Having built this network, I was able to ask questions and get some great answers. Building a network on Twitter (and on all social media sites) takes time. People should build their networks a little bit every week. Participate and share and be sure not to just sell – that is a huge turnoff. Twitter is a place where people can learn from one another. Using social media, I was able to get great insights and feedback from a group of talented people in only a few days. Our society is more plugged in than it has ever been and people are looking to make a connection online and offline. Social media can serve as an extension of your research efforts – it’s like an instant focus group. My blog post – How to Be a Better PPC Search Marketing Agency. The dreaded Tax Day April 15 is coming this week. Fortunately many local restaurants and stores offer tax day promotions. Lessen the tax day pain and check out these deals! Whole Foods grocery stores are giving taxpayers a break on April 15. Shoppers at Atlanta area stores will save anywhere from 6 to 9.5 percent depending upon store location by not paying sales tax on any items in the store. BLT Steak has a break coming for customers as well. On Tax Day, April 15, all beer, wine and cocktails will be 50 percent off. The half-off special includes bottles and glasses of wine. Did you know that Cinnabon made cupcakes? I certainly didn’t, but when you can get them for free, you might as well give them a try. On April 15, from 6-8 p.m., you can get two free cupcakes bites from the cinnamon bun experts. From Nation’s Restaurant News: Restaurants offer treats for tax day blues. From Common Sense with Money, Starbucks is giving free coffee when you bring your own mug on 4/15. Visit P.F. Chang’s on April 15th and receive 15% off food purchases. No coupon necessary! Hydro Massage – Nothing spells r-e-l-i-e-f like a FREE massage! If you’re in the Alpharetta area, stop by HydroMassage anytime between April 15th and 18th for this terrific freebie. Maggie Moo’s – Check out MaggieMoo’s Ice Cream and Treatery for an “E-cone-omic” Relief Package on tax day! Participating locations are giving away free slices of MaggieMia’s Ice Cream Pizza from 3 to 7pm. Click here to find a location near you! Get a Free Tax Day Relief Cocktail at Whiskey Blue at the W Hotel! Just bring in your W2 or proof of tax preparation on Thursday and get your first drink free, courtesy of Blue Moon Brewing Company. McDonalds – Buy a Southern Style Chicken Biscuit or Sandwich on Tax Day & you’ll get the second one free! There is such a thing as a free lunch this week. Metromix.com has another Tuesday free lunch special. The first 50 people in the door at KC Pitt Barbecue at 6317 Roswell road in Sandy Springs on April 14th get a free lunch as long as they mention Metromix. For more information call KC Pitt BBQ At (404) 459-6497. For updates on local freebies and ways to save money, follow Valuesval on Twitter. I will update this page as I see deals posted. Feel free to comment as well to add any other tax day deals, specials and promotions!